Vineyard Vines neck tie. 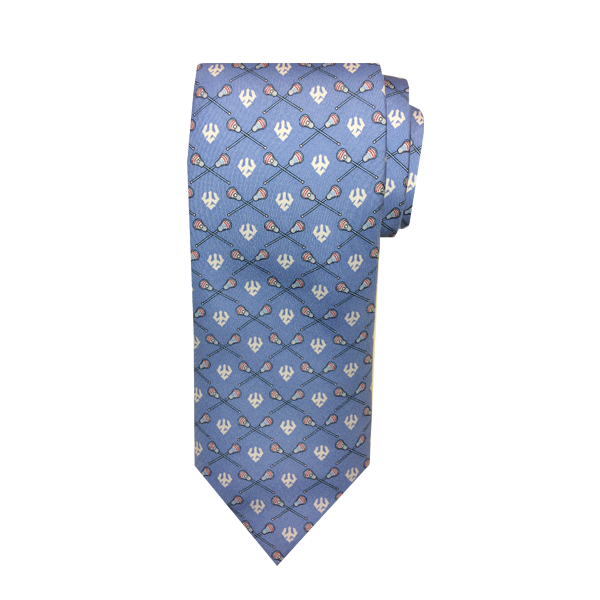 Light blue tie with white trident and crossed lacrosse stick pattern. 100% imported silk. Handmade in the United States. Available in extra-long.